All our products are submitted to strict technical and quality controls. In spite of this, should any malfunction occur, we invite you to apply to the nearest after sale service centre listed in our web pages. Our appliances are covered by a 24 months warranty from the purchase date. Should any flaws appear, during this period, provided the product has been regularly used according to the purpose it has been designed for, and in accordance with the suggestions given by the technical documentation, the nearest after sale service centre will repair it under warranty, with shipping costs to the technical service workshop and back at the customer’s cost. Warranty covers the free of charge replacement or repair of the defective components due to original manufacturing faults. Warranty does not cover either the labour cost, or the cost involved in the replacing components. In case the appliances turn out to be in compliance and / or perfectly working, the customer will have to refund the labour cost, established by the after sale service centre. Neither the replacement of the appliance, nor the extension of the warranty after a warranty claim are permitted by the after sale terms. The warranty is not enforceable for damages arising during transportation; from misuse of electrical components rubber gaskets or similar, neither for parts submitted to usage; nor for damages arising out of negligence, unskilled or careless usage, neither from inadequate maintenance of the appliances, or caused by a wrong connection, or arising from the use of illegal electrical installations nor from use of incorrect voltage, nor from damage caused by calcareous deposits. laPavoni SpA reserves the right to modify – without notice – the technical specifications of the products, and has no obligation to modify the information supplied previously. laPavoni SpA declines all responsibility for potential damages to people or things deriving – directly or indirectly – from the non-observance of the directions given in the instructions booklets, or for malfunctioning of the appliances. 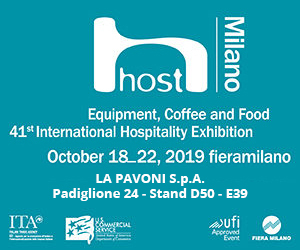 The faulty products bought through our e-shop can be sent for service both to the after sale service centres listed in the corresponding web pages and to laPavoni SpA directly. You are kindly requested to send us an e-mail message or a fax specifying the nature of the purchase documents, the date, the model and details of the problem. Within few days, laPavoni SpA will authorise you to return the faulty appliance for the necessary checks, and to advise you of the times and terms of service. After you have been authorised, you can send the unit back to laPavoni address. A suitable package will have to be used (preferably the original one), at the customer’s expense. In case of replacement of originally faulty parts. laPavoni SpA, will pay the cost for sending the parcel back. laPavoni SpA will reject all products received with a non-suitable package, or for which the customer has not paid the transport costs. The customer, within 10 days from receipt of the item purchased, can take advantage of the rescission right, send the product back, and will be fully refund for the price paid. Before doing this, the customer will have to notify his intentions, by means of an A/R registered letter indicating the order reference number, through a telefax at this number: ++39-02-9821787 or through a telegram confirmed by an A/R registered letter within the 48 hours to follow at laPavoni address. All the returned items will have to be suitably packed, using their original package, they will have to be complete with all their components and accessories, and free from all tampering and damages. Shipping costs to return the appliances to the manufacturer are at the customer’s charges; laPavoni SpA will reject every product returned unpacked, or for which the customer has not fully paid the transportation expenses. After receiving and checking the goods as above, laPavoni SpA will refund the whole amount paid through the credit institute which issued the Credit Card used, or crediting it to the bank account indicated by the customer. The customer expressly authorises, according to the Law n. 196 of 2003, the use of his personal data, as given while filling up the necessary forms to purchase the goods. This data will have to be used only with the purpose of supplying in the best way the services required by the customers, including those cases where the data is transmitted to any other companies for the same purposes. The customer accepts this data will be used for commercial, promotional and sale purposes, or for the shipping of advertising literature. To update and modify this data, or to revoke the authorisation to use them, it is necessary to notify it in writing to laPavoni holder of this data. Our e-commerce software, Net.Commerce, uses the best techniques to encrypt the information according to the SSL (Secure Socket Layer) protocol; for this reason all personal information and credit card data transmitted via Internet are protected from malicious users. At the same time the Net.Commerce software use SET (Secure Electronic Transaction) certification, the new protocol to send data via internet made by Visa and Mastercard, a further step ahead in terms of security for the transactions on Internet. The use of a secure server by the customer is possible, in the most transparent way, using one of the latest versions of Netscape or Internet Explorer (from the 4. version for both Netscape (4.51) and Internet Explorer (5). That browser is able to dialog in an encrypt way with laPavoni SpA Secure Server, which will transmit your information to the banking circuit (always in an encrypt way) for verification. How to verify the security of the Server? During the post and reception of data in logon to a secure server SSL, some masks are visualised, in order to signal the attainment of sure areas, with the address of the page characterised by the prefix “https” (note the final S). How to verify the security of the Server? How does laPavoni SpA uses the SSL secure server? laPavoni SpA uses the secure server SSL to send all credit card information. 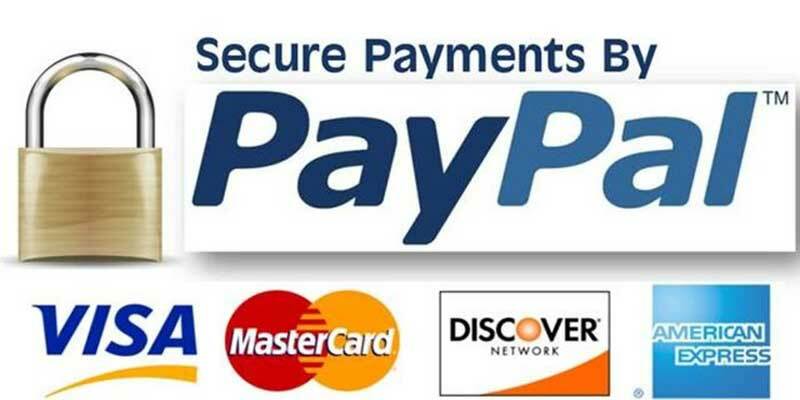 Practically: after you select the payment by credit card, you are taken to a page where you can insert and send your information to the Secure Server SSL. N.B. The logon to the SSL Secure Server only happens at the moment of the effective post of information (if you don’t press the button “send” all information remain on the customer PC).